« Don’t Take Yourself Too Seriously. 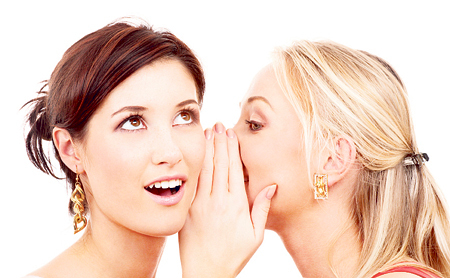 Why Gossiping Makes You Unhappy, and Unhealthy. Today we ask that you take all gossip with a grain of salt. It is a common human behavior to gossip. Much of the media is dedicated to gossip about celebrities. Everyone gossips: about coworkers, bosses, fellow students, family members, people in church, the lives of others. If you have ever been the subject of malicious gossip, you know how cruel, how painful this can feel. So why do people engage in such cruelty? Why do people gossip? People gossip in order to reassure themselves that they are really superior to other people. It arises out of egoic insecurity. Since most people struggle with constant feelings of worthlessness, gossip is what allows them to convince themselves that they are really worth something. They are better than the people they are gossiping about. This is especially true when it comes to gossiping about the rich and famous. People feel very threatened by the rich and famous. They feel inadequate in the face of rich, famous people. Their defense against this feeling of inadequacy is the weapon of gossip. Those rich, famous people aren’t so special after all. Look at their bad behavior. Really, I am superior to these people. The whole tabloid industry, and much of what passes for news and entertainment these days, is based on this premise. It is true that many rich, famous people lead exceptionally unhappy lives. The condition of celebrity can lead to severe egoic distortion in all but the strongest souls. For most people, celebrity is something you wouldn’t wish on your worst enemy. Do not take delight in the misguided behaviors of celebrities, or people on reality TV, or coworkers, or people you know. Notice your tendency to revel in gossip about people. Why this need to gossip? Why do you need to feel superior to other people? It only exists because you have these deep feelings of inferiority. But gossiping will not help you. It actually perpetuates the pattern of feeling inferior, and needing to put people in their place by gossiping about them. There is an endless cycle of feeling inferior, trying to reassure yourself that you really are superior, then feeling inferior again. Gossip is addictive, and it is extremely unhealthy. The truest response to human suffering is compassion. Can you hold compassion for suffering people? If you found yourself the subject of vicious gossip, wouldn’t you want other people to have compassion for you? Wouldn’t you hope that people could see the good in you, and give you credit for all the good things you’ve done in the past? Wouldn’t you want people to give you the benefit of the doubt? Wouldn’t you want people to question the veracity of the gossip, especially if it’s based on lies and half-truths, as almost all gossip is? If that is what you would want — then please do this for others. Do not gossip about coworkers and people you know and celebrities. Be the voice of compassion and understanding. Remind yourself that these are suffering human beings, fundamentally no different from you. If you can hold this space, you will actually be much more healthy and secure. You will no longer need to prove your superiority to others through gossip.